Practice Management software designed specifically for physical therapists, occupational therapists, and speech-language pathologists. 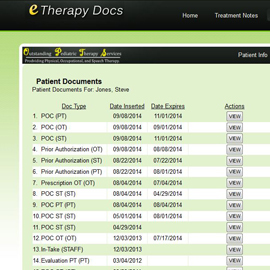 eTherapyDocs was designed from the ground up to address the needs of small to medium sized physical, occupational, and speech therapy practices. Every part of the user interface was created to help automate practices looking to increase efficiency without burdening the practice with the incredibly expensive costs of other practice management applications otherwise available on the market. 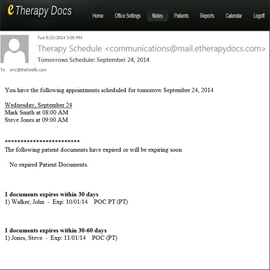 Combined with the the customer focus of Computer Solution Partner's support staff, eTherapyDocs is launching practices into online automation, providing efficiencies in managing patient session notes, patient documentation, scheduling, and patient and therapist communications. 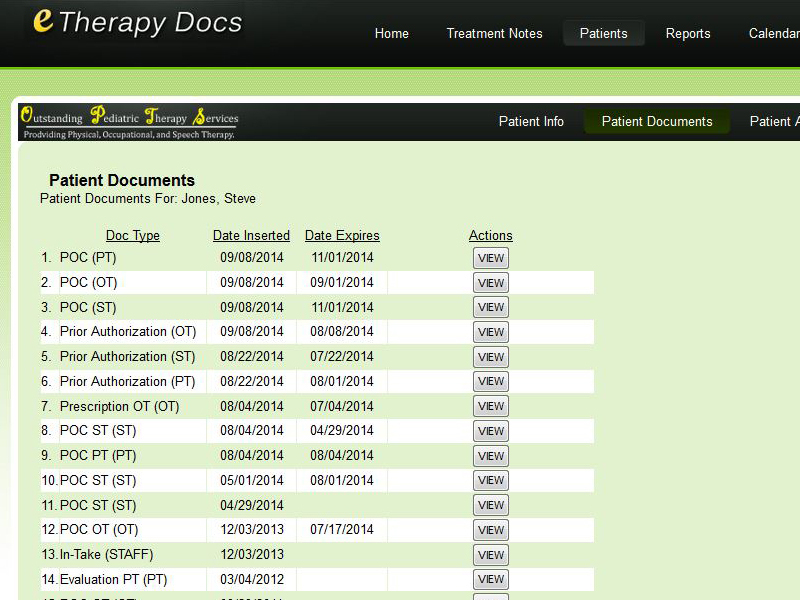 POC: Upload and track patient documents in order to properly plan patient re-evaluations and documentation updates. 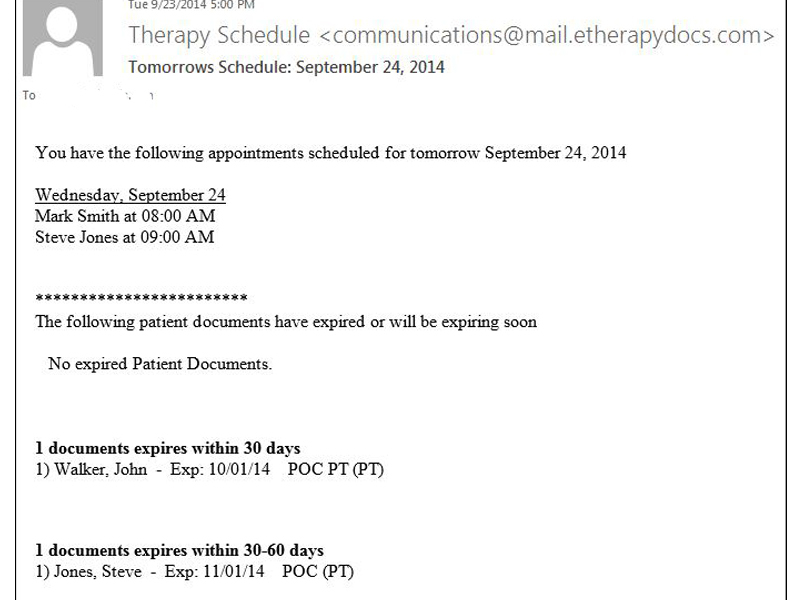 Prescription: Monitor prescription expiration dates to insure licensure compliance and reduce insurance denials. 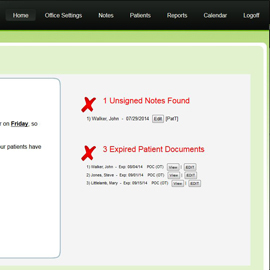 PA: Ensure visibility of expiring/expired prior authorizations (PA) to prevent non-billable treatment sessions. 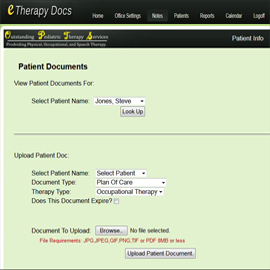 IFSP/IEP: Electronically store patient documentation, in order to provide web-based access to therapists and support staff.